Professor Kent, is a Professor of Fashion Marketing at NTU. Professor Kent completed a PhD from the University of the Arts London for his research into the locational contexts of fashion retail stores, their built environments and interior design. Previously he undertook a funded MBA, specialising in retail, and holds a BA (Hons.) in Modern History from the University of Oxford where he received two awards. He has worked as a product planner for a footwear company and retail management in the Buying and Merchandising function, in the UK. He is a Member of the Chartered Institute of Marketing, Fellow of the Royal Society of Arts, Fellow of the Higher Education Institute, and sits on the Committee for the Marketing Special Interest Group of the British Academy of Management. He is a member of Design Management International and a non-executive Director of Cybercard Ltd. Professor Kent's research is centred on interdisciplinary approaches to marketing and design, focusing on brand image and identity in retail stores, and more recently the convergence of physical and virtual environments. Professor Kent has a further interest in research methodologies and their application across disciplines. 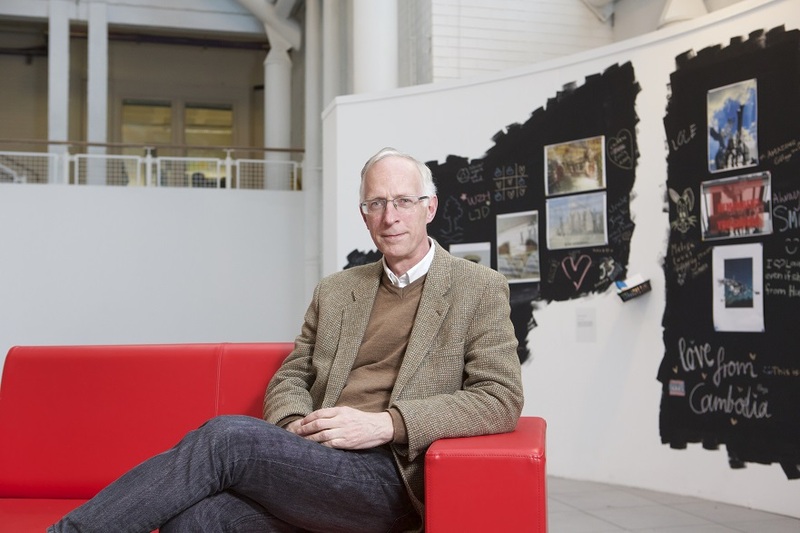 Professor Kent was Principal Investigator on an AHRC-funded research project, 'Metamorphosis of Design Management' examining the relationship between education, research and industry in this field. Professor Kent has initiated a number of academic conferences and symposia including the first Design and Marketing symposium in 2011. Previous projects have included EU funded programmes on business mentoring, skills training and development. Kent, A and Bush P., 2017. 'Personal Medical Devices and their Design'. In: Lynch, R AND Farrington, C, eds., Understanding Personal Medical Devices : Critical Approaches. Valero-Silva, N., Kettley, S. and Kent, A., 2016. 'Mental health service design: methodological and ethical challenges in stakeholder engagement'. In: 30th British Academy of Management Conference (BAM2016), Newcastle University, Newcastle upon Tyne, 6-8 September 2016. Kent, A.,,Blazquez Cano,M., Schwarz, E. and Vianello., 2016. 'Omnichannel fashion retail and channel integration : the case of the department stores'. In: Vecchi, A, ed., Fashion Marketing . Hershey PA : IGI Global.Kent, A. 2015. 'Online and Mail Order Retail Marketing'. In Goworek , H. and McGoldrick, P. eds.,Retail Marketing, Harlow : Pearson. Kent, A., 2016 . 'Place, branding, and heritage: the case of the Pretty Polly hosiery brand'. In: the Proceedings of Producing Fashion: Made in Vietnam Colloquia, RMIT, Ho Chi Minh City Vietnam. 5-7th July. Kent, A., Dennis, C., Blazquez Cano, M. and Schwarz, E., 2015. 'Branding, marketing and design: experiential in-store digital environments'. In: E. Pantano, ed., Successful technological integration for competitive advantage in retail settings. Advances in e-business research series . Hershey, PA: IGI Global, pp. 1-22. Kent, A.M. and Inns, T., 2014. 'Re-conceptualising strategy in design management education'. In: E. Bohemia, A. Rieple, J. Liedtka and R. Cooper, eds., Proceedings of the 19th DMI: Academic Design Management Conference, London 2-4 September 2014. Boston, MA: Design Management Institute, pp. 2954-2971.